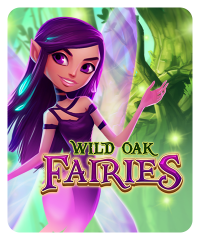 In this fairy-themed slot machine, any combination of three or more fairies will get you a win. 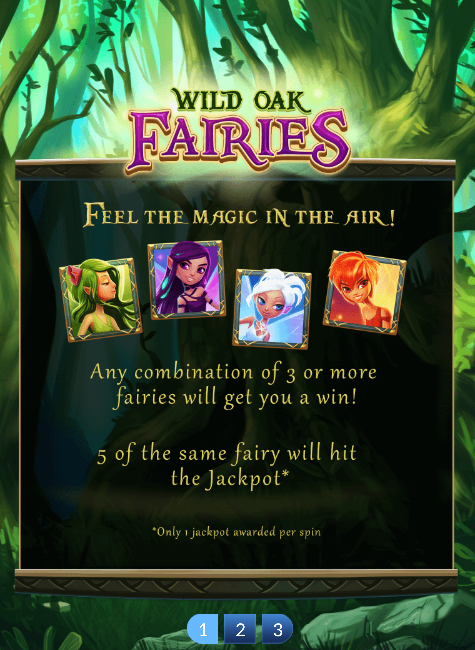 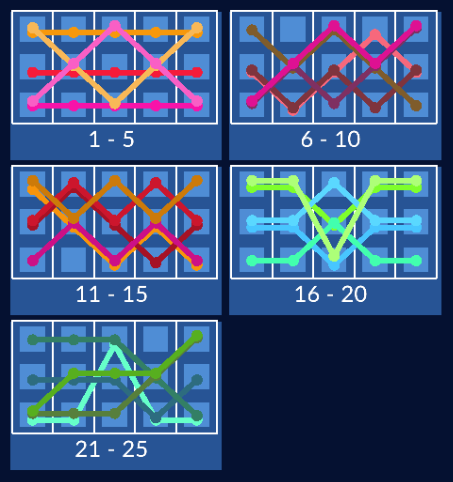 Five of the same fairy on a win line will hit the jackpot. 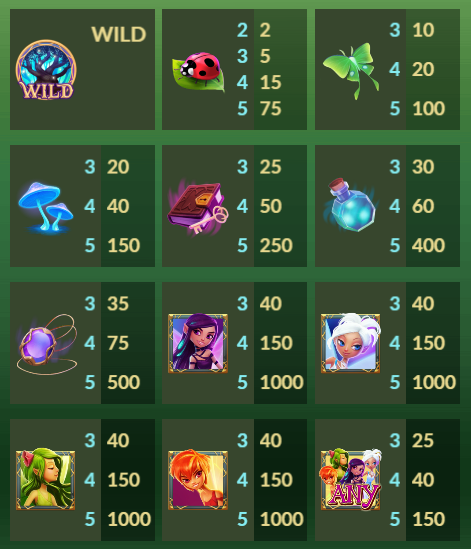 You no longer need to bet max in this slot machine to have a chance at winning the jackpot; the progressive jackpot increases with both time from the last win and your bet amount.